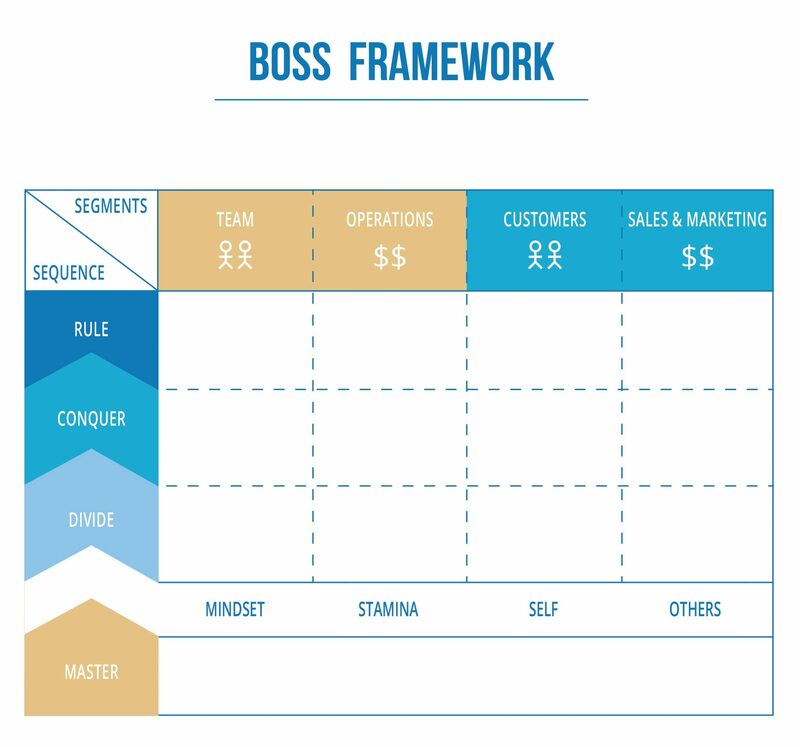 BOSS is a 3 dimensional framework developed by Tumiza Strategy Consulting. The four-letter acronym stands for Business Optimization Strategic Systems. Before BOSS, the world of small and medium size management consulting lacked a thorough systematic approach for ensuring the success of consulting projects. Over the years, Marco Robert, one of the founders of Tumiza, undertook to develop an approach based on practices used large corporations that could be easily understood and implemented by owner-operated small businesses.